Thank you for submitting your item for appraisal. This appears to be a late victorian or edwardian 9ct or 375/1000 gold fob chain ( hallmarks on the pendant) with a masonic pendant, inscribed HTWSSTKS which stands for "Hiram, Tyrian, Widow's Son, Sendeth To King Solomon". 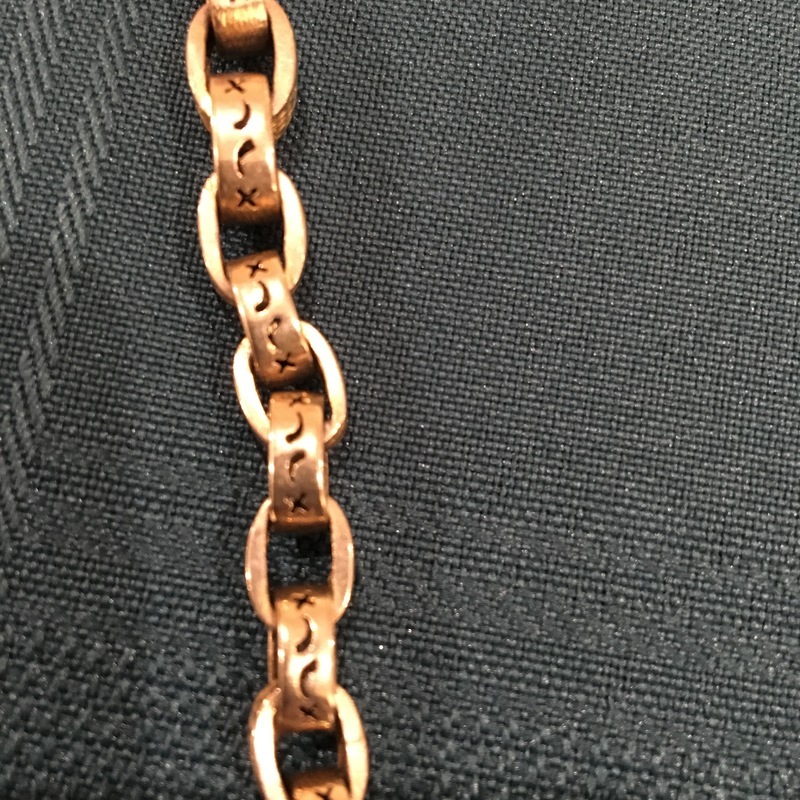 The value of this fob chain is closely related to the current gold value and the weight of the item ( as of today 1gram gold of a purity of 375 of 1000 has a value of approx. 14 USD. The pendant itself might sell for 200-250 USD. Todays gold price is rather high and will most likely exceed the "antique" value as the demand for pocket watches and chains is rather limited. There is no measurement for the sentimental value you might attach to it.